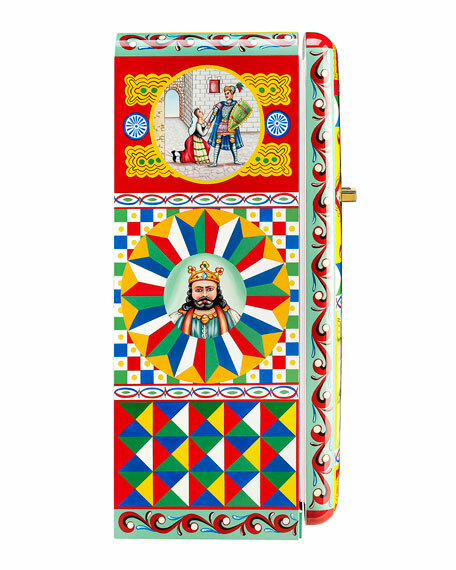 Unique 1950s style single-door refrigerator hand-painted with "Jousting Paladins", by Gianfranco Fiore, produced in-partnership with Dolce & Gabbana. 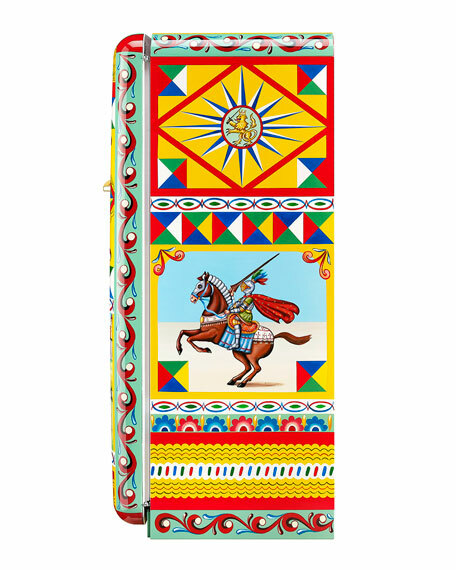 The jousting games of the Carolingian paladins, traditionally painted on the sides of Sicilian carts, are the main source of inspiration for the decorations of this refrigerator. 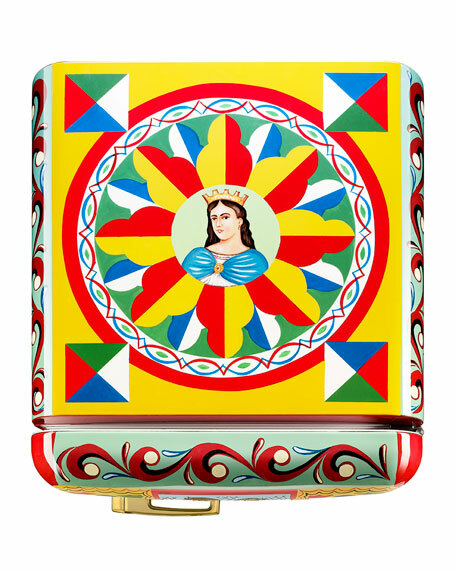 During the tournaments, the knights would measure their battle skills against each other, vying for the admiration of noblewomen and princesses. 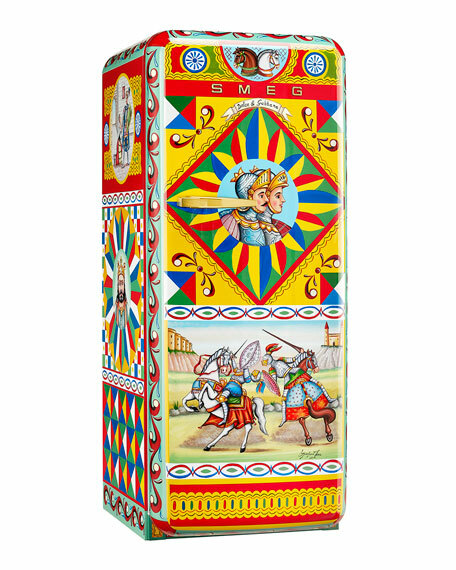 In the upper part of the front panel, the paladins are depicted shoulder to shoulder as they cross swords in a gesture of challenge, while the lower part features the scene of their duel. 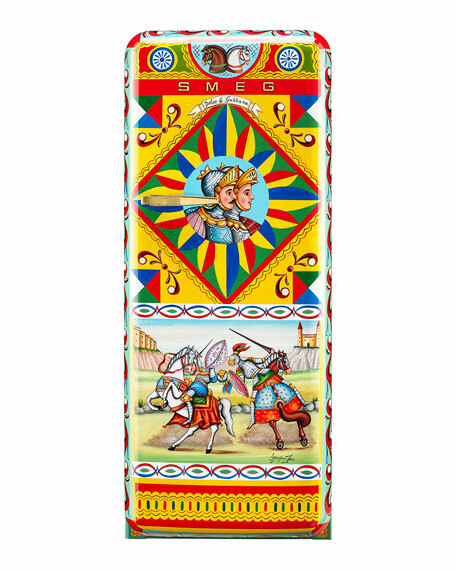 On the right side panel is the triumph of the squire on horseback, brandishing the banner of victory, while the left panel depicts the hero receiving tribute from a gracious young maiden.